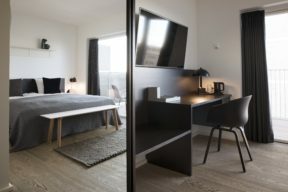 Our single rooms are ideal for business travelers or tourists traveling on their own. 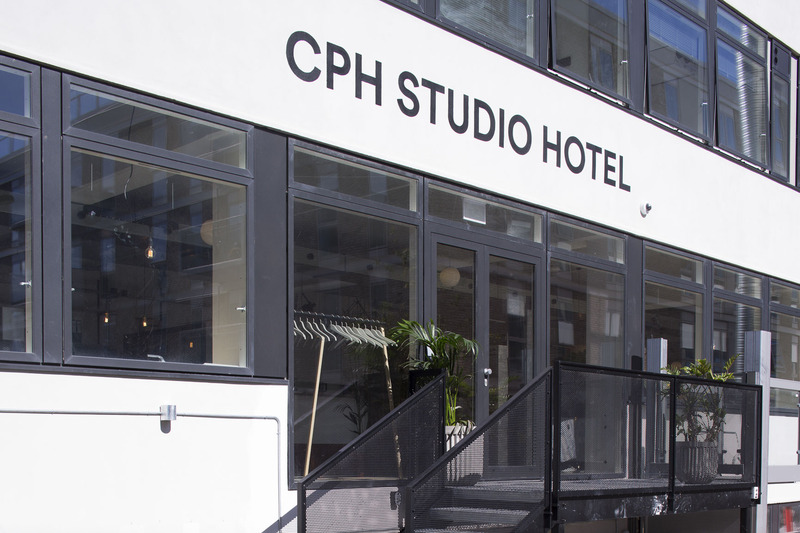 CPH Studio Hotel offers single rooms with a comfortable 90 cm single bed from HAY, a private bathroom with shower cabinet, a 40’’ flat screen Samsung HDTV with a broad selection of channels, and a kitchenette equipped with fridge, ceramic stovetop and basic kitchen supplies for easily cooking your breakfast, or perhaps a light dinner. 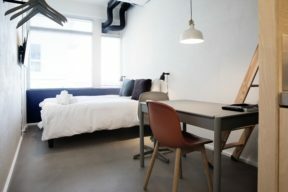 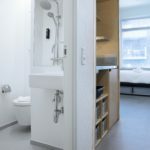 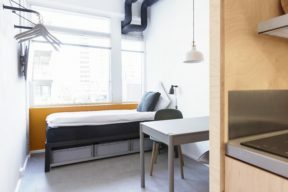 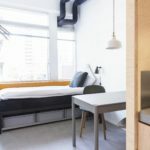 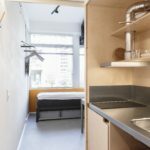 The 14 square meter rooms also feature a small dining table and two chairs, along with clothes hangers and bed rollers for storage.